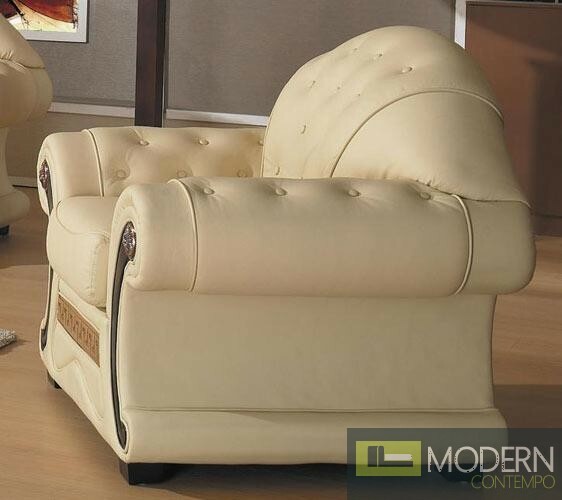 Intricately designed for elegance, this sofa set is fit for luxury. 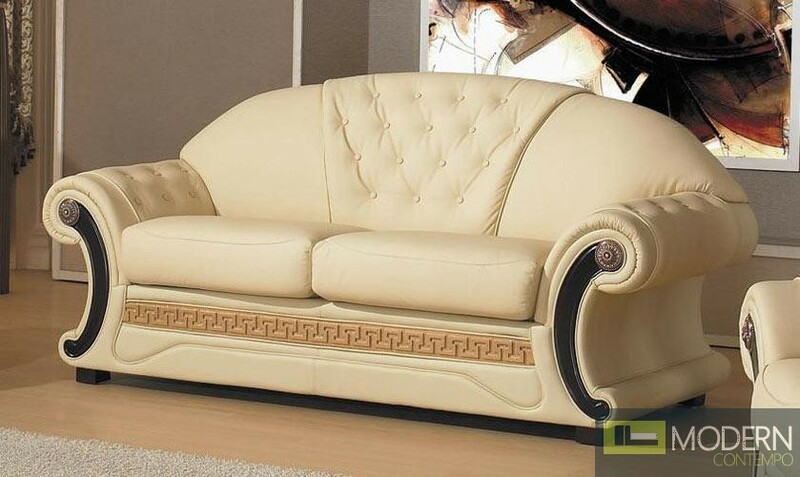 Exceptional sofa design and craftsmanship gives this sofa an added value with its outstanding features. 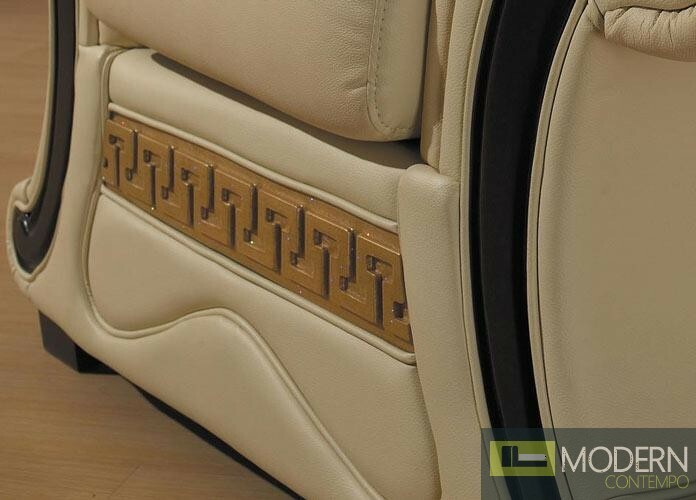 Wooden armrests on the armrests add uniqueness and quality to enhance this sofas beauty. 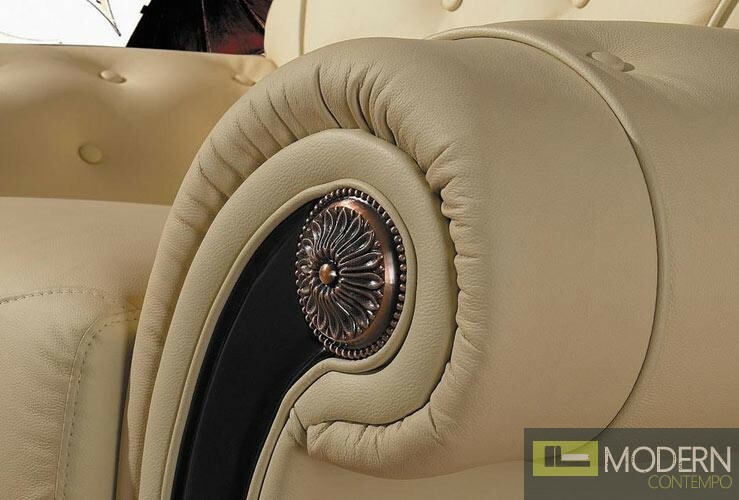 Tufted leather exterior is made from real leather in the front and high quality leather match for the back. 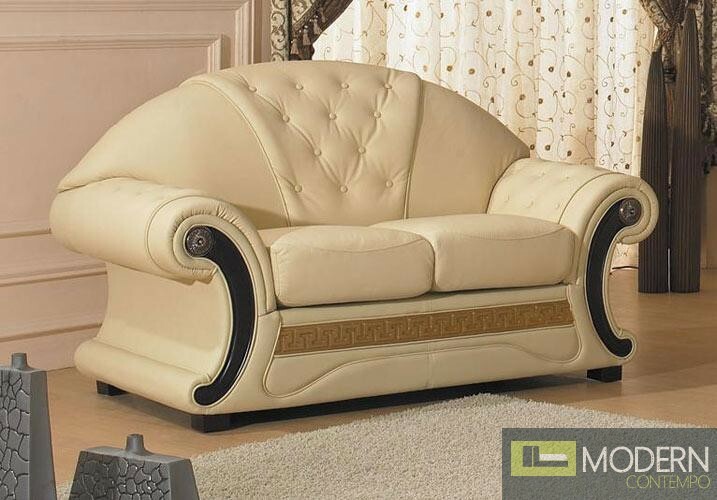 This sofa set is composed of a sofa, loveseat and chair. Frame Construction Frame is hard wood and plywood, with staples and glue applied to the frame. 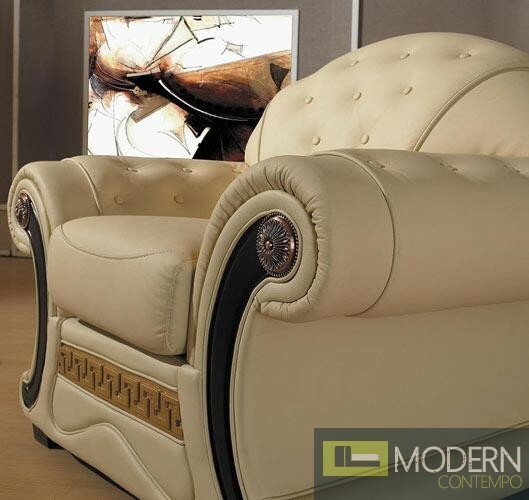 Frame is kiln dried hardwoods. 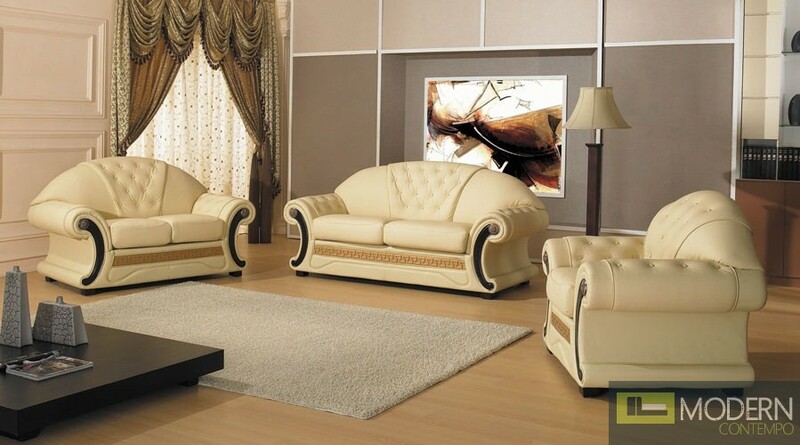 Chair: W45" x D33" x H37"
Loveseat: W63" x D33" x H37"
Sofa: W79" x D33" x H37"
Bed size: W59" x D71"